John W. Foster was born in Petersburg, Indiana, in 1836. Foster graduated from Indiana University in 1855 and then earned a Harvard law degree. 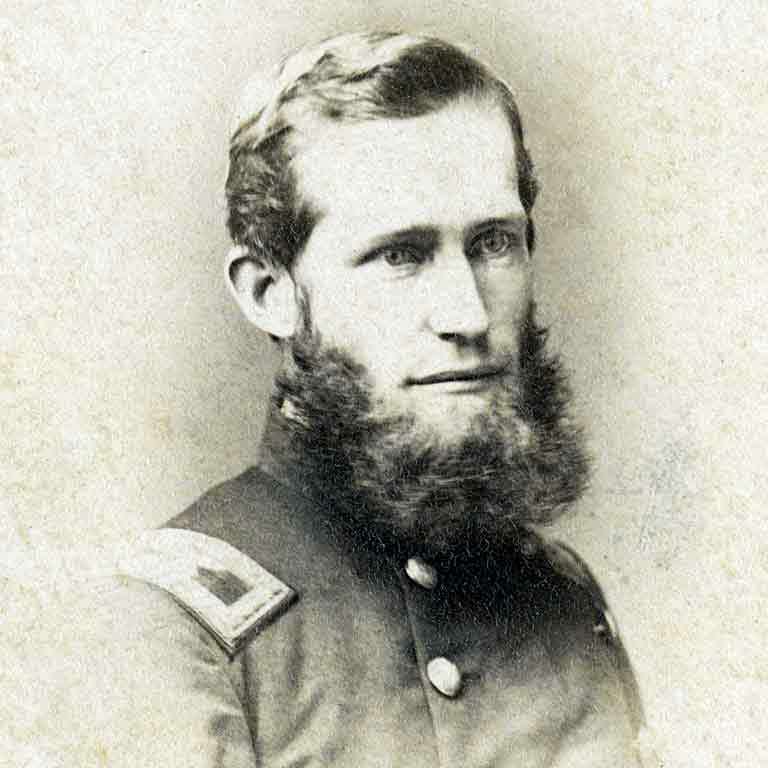 When the Civil War broke out in 1861, Foster was commissioned a major with the 25th Indiana, then became commander of the 65th Indiana Mounted Infantry, and later was made commander of the 136th Indiana and promoted to colonel. Foster’s men were the first to enter Knoxville, Tennessee, after the Siege of Knoxville. After the war, Foster became a journalist and a strong advocate of the Republican party. He went on to serve as ambassador to Mexico, Russia, and Spain. Eventually, under fellow Hoosier Benjamin Harrison, he served as secretary of state, where his most notable role was in the annexation of Hawaii. Foster also had a law practice in Washington, D.C., that represented the interests of foreign countries and corporations. He lobbied on behalf of the Chinese government to end the ban of Chinese immigrants to the United States, and authored several books on diplomacy and foreign relations. Foster Quad on the Bloomington campus was named in his honor. To read more about John Watson Foster’s military service, read War Stories for My Grandchildren, a very limited print autobiography of his military service available via the IU Library.